This set of drinking glasses was produced by Joseph Lang and Co. Ltd of London around 1963. 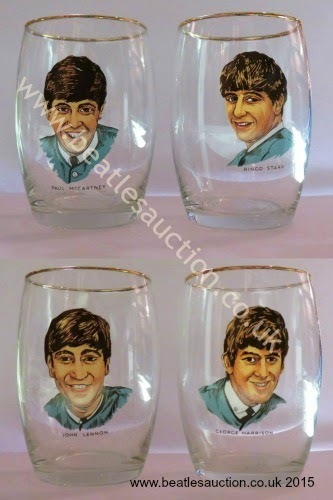 Each glass features a different Beatles face and name. They are four inches in height and have a gold rim. Important Change to Contact Information! !